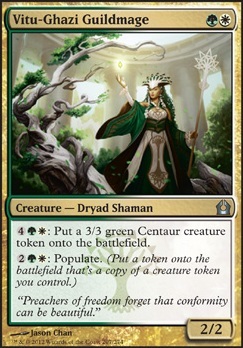 4GW: Put a 3/3 green Centaur creature token onto the battlefield. If currently on a budget then Anointed Procession is damn good for a token doubler. Vitu-Ghazi Guildmage lets you populate as many times as you have mana to do it. 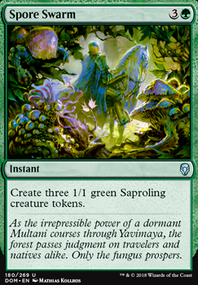 Oviya Pashiri, Sage Lifecrafter can make some pretty damn big tokens every turn. Sandwurm Convergence would be good as it makes a 5/5 every turn plus it negates opponents flying critters. Alternate Win Condition. 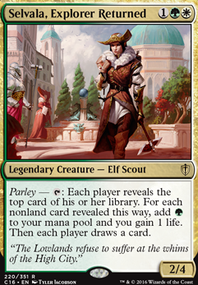 Probably works better with Trostani as commander due to the increased life gain, but there's quite a bit of life gain in this deck regardless, so it may work. Like your Resplendent Angel, but harder to remove, and only requires you to gain 4 life. Potentially double your board, with 4/4 fliers! Alternate win condition. 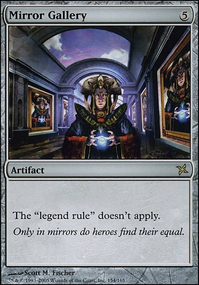 Probably better with Trostani as commander as you need to be able to absorb a loss of 50 life, but even in commander, most other people won't be able to say the same. Win condition. With a wide board, +5/+5 is huge. Also creatures enter the battlefield with the +5/+5, so with Trostani out that's some good extra life gain. Life gain, removal, mill protection, and tutor? This card just has value. 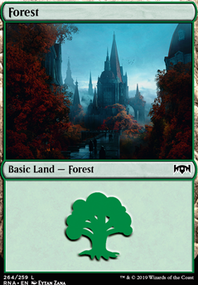 Green tutor with convoke. You have a bunch of tokens, why not? Potentially reusable creature tutor. have to have the mana available, but it will find answers for you. Saproling Migration and Second Harvest look like great additions. They are also budget friendly. I'm aware that Selesnya Guildmage, Vitu-Ghazi Guildmage and Conclave Guildmage are expensive in their token making abilities. Seems useful to change some token making creatures to token making Instants, Enchantments or Sorceries. From those above, might keep only Conclave Guildmage, since paying plus tapping seems like a good price for giving all creatures trample. A solid base for a more casual EDH deck. For landfall triggers I would highly recommend Avenger of Zendikar. Another option to get more landfall triggers in a turn would be to play with Courser of Kruphix or Oracle of Mul Daya, with you searching your deck basicly every turn I can see you getting a lot of value out of those two cards. I would also recommend you add some more mana dumps into your deck so you can use all of that left over mana. Cards such as: Elder of Laurels, Heliod, God of the Sun, Vitu-Ghazi Guildmage. Thanks for the input! I like the idea of adding ramp, but I'm not sure what to cut for it. The main purpose of Benefaction of Rhonas and Commune with the Gods in this deck is to fill the graveyard with creatures while looking for Seance or Vitu-Ghazi Guildmage. Maybe I could lose the higher cmc version, but I want to make sure I find the combo pieces quickly. Well, first I would consider not having one of a bunch of different cards unless you're making a commander deck, if you cut down on the number of cards but add more of the ones you need, you can get a more reliable game. Since this is supposed to be a token deck you should definitely remove Lone Rider Flip it's doing nothing for you here. As far as the cards go, if your looking for budget token duplication you cant go wrong with Growing Ranks. But if your willing to spend a little more a much better option would be Parallel Lives or Primal Vigor. 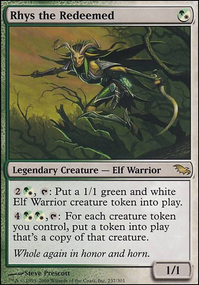 I would replace Verdant Sun's Avatar with Soul Warden or Trostani, Selesnya's Voice and get rid of Ulvenwald Observer you can get "some" big tokens but not enough to really make him useful. you should also consider focusing you're token generating more. right now the deck is kind of all over the place creating small numbers of random tokens. it would be more effective if you added cards like Verdant Embrace, Darien, King of Kjeldor or Dreampod Druid. (I personally like pairing Alpha Authority + Dreampod Druid to give him some extra protection. 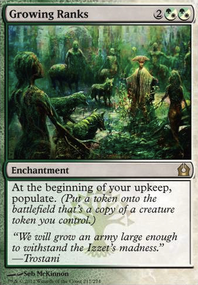 However, if you want to keep the big creatures and have a deck more focused on power and toughness instead of massing tokens, you should consider Giant Adephage, Mycoloth, Verdant Force and my personal favorite, Worldspine Wurm as some more budget options. 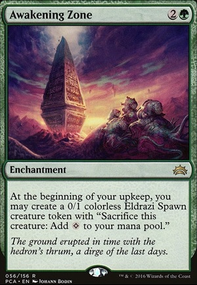 Some other cards you might want to consider are Vitu-Ghazi Guildmage so that you can populate on command, and Voice of Resurgence if your willing to spend the money. that card is very good at deterring your opponent's from messing with your side of the board on your turn.